Getting Around in China is about the nuts and bolts of travel in a big country. Other books rate the attractions and suggest destinations... this book tells you how to get to the places you choose to visit, comfortably and affordably. It also includes anecdotes from my journals to illustrate the kinds of situations that arise when traveling in China. If you have already bought the book, this site provides some photos and extras. 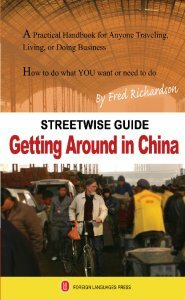 I'd like to hear any feedback readers have about my book, as well as comments about travel in China. I may post your comments after reviewing them. You can reach me by email at gettingaroundinchina@gmail.com. Thanks for your interest!